February 1, 1960 - In Greensboro, North Carolina, four African American students sat down and ordered coffee at a lunch counter inside a Woolworth's store. They were refused service, but did not leave. Instead, they waited all day. The scene was repeated over the next few days, with protests spreading to other southern states, resulting in the eventual arrest of over 1,600 persons for participating in sit-ins. February 1, 2003 - Sixteen minutes before it was scheduled to land, the Space Shuttle Columbia broke apart in flight over west Texas, killing all seven crew members. The accident may have resulted from damage caused during liftoff when a piece of insulating foam from the external fuel tank broke off, piercing a hole in the shuttle's left wing that allowed hot gases to penetrate the wing upon re-entry into the Earth's atmosphere. This was the second space shuttle lost in flight. In January 1986, Challenger exploded during liftoff. Birthday - Hattie Caraway (1878-1950) the first woman elected to the U.S. Senate, was born in Bakersville, Tennessee. Her husband became the U.S. Senator from Arkansas. Following his death in 1931, she filled the remainder of his term, then was elected herself, serving a total of 14 years. February 2, 1848 - The war between the U.S. and Mexico ended with the signing of the Treaty of Guadalupe Hidalgo. In exchange for $15 million, the U.S. acquired the areas encompassing parts or all of present day California, Nevada, Utah, Arizona, New Mexico, Colorado, Wyoming, and Texas. The treaty was ratified on March 10, 1848. February 2, 1990 - In South Africa, the 30-year-old ban on the African National Congress was lifted by President F.W. de Klerk, who also promised to free Nelson Mandela and remove restrictions on political opposition groups. Birthday - Irish novelist and poet James Joyce (1882-1941) was born in Dublin, Ireland. His works include; Dubliners, A Portrait of the Artist as a Young Man, Ulysses, and Finegan's Wake. 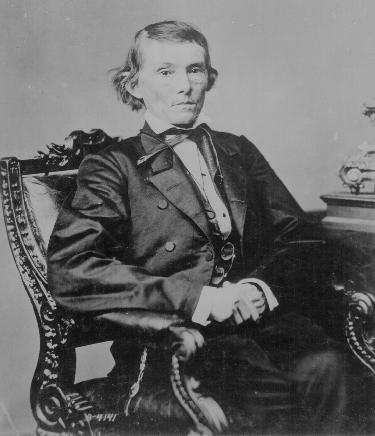 February 3, 1865 - A four-hour peace conference occurred between President Abraham Lincoln and Confederate Vice President Alexander Stephens at Hampton Roads, Virginia. The meeting was unsuccessful as President Lincoln insisted there could be no armistice until the Confederates acknowledged Federal authority. The Confederates wanted an armistice first. Thus the Civil War continued. February 3, 1870 - The 15th Amendment to the U.S. Constitution was ratified, guaranteeing the right of citizens to vote, regardless of race, color, or previous condition of servitude. February 3, 1913 - The 16th Amendment to the U.S. Constitution was ratified, granting Congress the authority to collect income taxes. February 3, 1943 - An extraordinary act of heroism occurred in the icy waters off Greenland after the U.S. Army transport ship Dorchester was hit by a German torpedo and began to sink rapidly. When it became apparent there were not enough life jackets, four U.S. Army chaplains on board removed theirs, handed them to frightened young soldiers, and chose to go down with the ship while praying. Birthday - The first female physician in the U.S., Elizabeth Blackwell (1821-1910) was born near Bristol, England. As a girl, her family moved to New York State. She was awarded her MD by the Medical Institute of Geneva, New York, in 1849. She then established a hospital in New York City run by an all-female staff. She was also active in training women to be nurses for service in the American Civil War. Birthday - American artist and illustrator Norman Rockwell (1894-1978) was born in New York City. Best known for depicting ordinary scenes from small town American life for the covers of Saturday Evening Post magazine. February 4, 1861 - Apache Chief Cochise was arrested in Arizona by the U.S. Army for raiding a ranch. 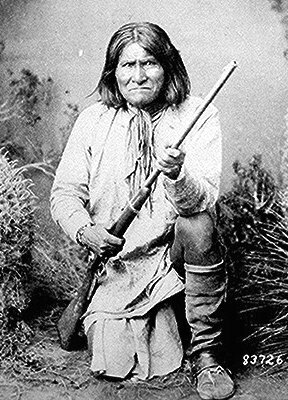 Cochise then escaped and declared war, beginning the period known as the Apache Wars, which lasted 25 years. February 4, 1985 - Twenty countries in the United Nations signed a document entitled "Convention Against Torture and Other Cruel, Inhuman or Degrading Treatment or Punishment." 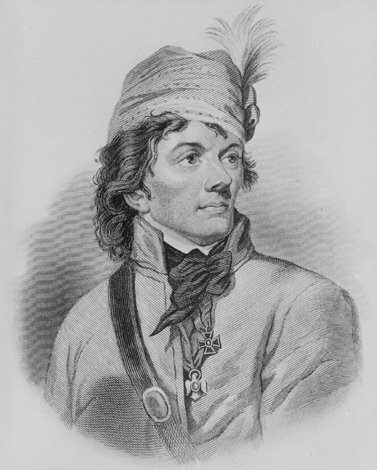 Birthday - Thaddeus Kosciusko (1746-1817) was born in Poland. He served in the American Revolution, building the first fortifications at West Point. He then returned to Poland and fought against a Russian invasion. Birthday - Aviation pioneer Charles Lindbergh (1902-1974) was born in Detroit, Michigan. He made the first non-stop solo flight from New York to Paris, May 20-21, 1927. February 5, 1917 - The new constitution of Mexico, allowing for sweeping social changes, was adopted. February 6, 1788 - Massachusetts became the sixth state to ratify the new U.S. Constitution, by a vote of 187 to 168. February 6, 1933 - The 20th Amendment to the U.S. Constitution was adopted. It set the date for the Presidential Inauguration as January 20th, instead of the old date of March 4th. It also sets January 3rd as the official opening date of Congress. February 6, 1952 - King George VI of England died. Upon his death, his daughter Princess Elizabeth became Queen Elizabeth II, Queen of the United Kingdom of Great Britain and Northern Ireland. Her actual coronation took place on June 2, 1953. Birthday - Aaron Burr (1756-1836) was born in Newark, New Jersey. In 1804, Vice President Burr challenged Alexander Hamilton to a duel over Hamilton's negative remarks and mortally wounded him. Burr was later tried for treason over allegations he was planning to invade Mexico as part of a scheme to establish his own empire in the Southwest, but was acquitted. Birthday - Legendary baseball player George Herman "Babe" Ruth (1895-1948) was born in Baltimore, Maryland. Ruth held or shared 60 Major League records, including pitching 29 consecutive scoreless innings and hitting 714 home runs. 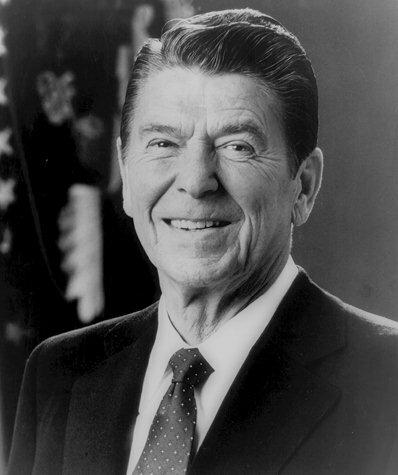 Birthday - Ronald Reagan, (1911-2004) the 40th U.S. President, was born in Tampico, Illinois. 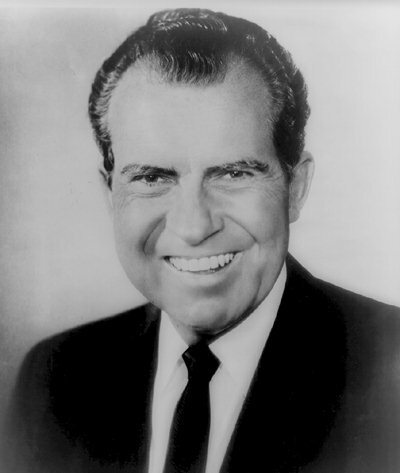 Reagan spent 30 years as an entertainer in radio, film, and television before becoming governor of California in 1966. Elected to the White House in 1980, he survived an assassination attempt and became the most popular president since Franklin Roosevelt. February 7, 1795 - The 11th Amendment to the U.S. Constitution was ratified, limiting the powers of the Federal Judiciary over the states by prohibiting Federal lawsuits against individual states. Birthday - Thomas More (1478-1535) was born in London, England. He was a lawyer, scholar, and held the title Lord Chancellor of England. As a devout Catholic, he refused to acknowledge the divorce of King Henry VIII from Queen Catherine, thereby refusing to acknowledge the King's religious supremacy. He was charged with treason, found guilty and beheaded in 1535, with his head then displayed from Tower Bridge. Four hundred years later, in 1935, he was canonized by Pope Pius XI. 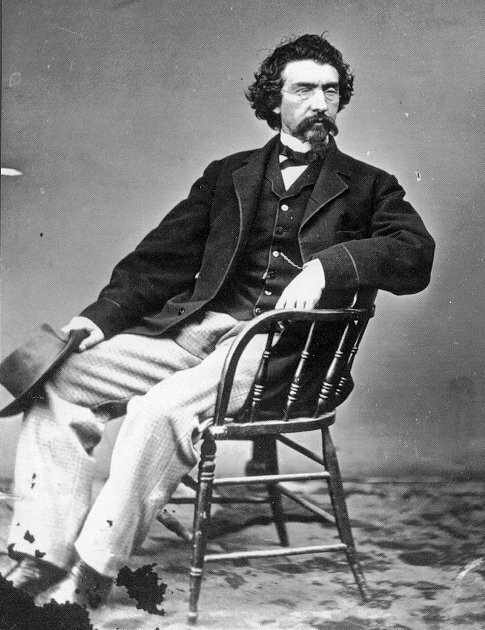 Birthday - British novelist Charles Dickens (1812-1870) was born in Portsmouth, England. 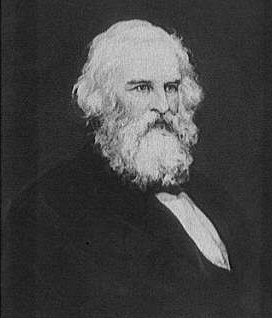 He examined social inequalities through his works including; David Copperfield, Oliver Twist, and Nicholas Nickleby. In 1843, he wrote A Christmas Carol in just a few weeks, an enormously popular work even today. Birthday - American social critic and novelist Sinclair Lewis (1885-1951) was born in Sauk Center, Minnesota. He received the Nobel Prize for Literature in 1930. His works include; Main Street, Babbit, and It Can't Happen Here. February 8, 1587 - Mary Stuart, Queen of Scots, was beheaded at Fotheringhay, England, after 19 years as a prisoner of Queen Elizabeth I. She became entangled in the complex political events surrounding the Protestant Reformation in England and was charged with complicity in a plot to assassinate Elizabeth. February 8, 1910 - The Boy Scouts of America was founded by William Boyce in Washington, D.C., modeled after the British Boy Scouts. 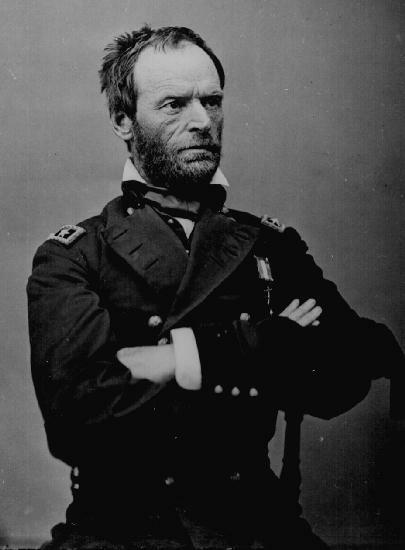 Birthday - Union Civil War General William Tecumseh Sherman (1820-1891) was born in Lancaster, Ohio. February 9, 1943 - During World War II in the Pacific, U.S. troops captured Guadalcanal in the Solomon Islands after six months of battle, with 9,000 Japanese and 2,000 Americans killed. 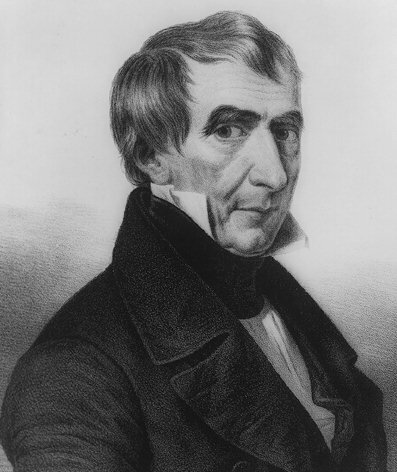 Birthday - William Henry Harrison (1773-1841) the 9th U.S. President was born in Berkeley, Virginia. He took office on March 4, 1841 and died only 32 days later after developing pneumonia from the cold weather during his inaugural ceremonies. 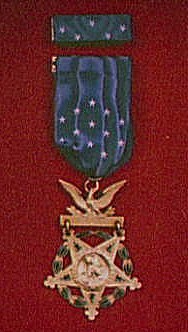 February 10, 1942 - The first Medal of Honor during World War II was awarded to 2nd Lt. Alexander Nininger (posthumously) for heroism during the Battle of Bataan. February 10, 1967 - The 25th Amendment to the U.S. Constitution was ratified, clarifying the procedures for presidential succession in the event of the disability of a sitting president. February 11th - Celebrated in Japan as the founding date of the Japanese nation, which occurred with the accession to the throne of the first Emperor, Jimmu, in 660 BC. February 11, 1929 - Italian dictator Benito Mussolini granted political independence to Vatican City and recognized the sovereignty of the Pope (Holy See) over the area, measuring about 110 acres. February 11, 1990 - In South Africa, Nelson Mandela, at age 71, was released from prison after serving 27 years of a life sentence on charges of attempting to overthrow the apartheid government. In April 1994, he was elected president in the first all-race elections. February 11, 2011 - In Egypt, President Hosni Mubarak resigned amid a massive protest calling for his ouster. Thousands of young Egyptians and others had protested non-stop for 18 days in Cairo, Alexandria and elsewhere. Mubarak had ruled Egypt for nearly 30 years, functioning as a virtual dictator. February 12, 1999 - The impeachment trial of President Bill Clinton in the U.S. Senate ended. With the whole world watching via television, Senators stood up one by one during the final roll call to vote "guilty" or "not guilty." On Article 1 (charging Clinton with perjury) 55 senators, including 10 Republicans and all 45 Democrats voted not guilty. On Article 2 (charging Clinton with obstruction of justice) the Senate split evenly, 50 for and 50 against the President. With the necessary two-thirds majority not having been achieved, President Clinton was thus acquitted on both charges and served out the remainder of his term of office lasting through January 20, 2001. Birthday - Abraham Lincoln (1809-1865) the 16th U.S. President was born in Hardin County, Kentucky. He led the nation through the tumultuous Civil War, freed the slaves, composed the Gettysburg Address, and established Thanksgiving. February 13, 1635 - Boston Latin School, the first tax-payer supported (public) school in America was established in Boston, Massachusetts. February 13, 1945 - During World War II in Europe, British and American planes began massive bombing raids on Dresden, Germany. A four-day firestorm erupted that was visible for 200 miles and engulfed the historic old city, killing an estimated 135,000 German civilians. Birthday - American artist Grant Wood (1892-1942) was born near Anamosa, Iowa. Best known for his painting American Gothic featuring a farm couple. February 14th - Celebrated as (Saint) Valentine's Day around the world, now one of the most widely observed unofficial holidays in which romantic greeting cards and gifts are exchanged. February 14, 1849 - Photographer Mathew Brady took the first photograph of a U.S. President in office, James Polk. 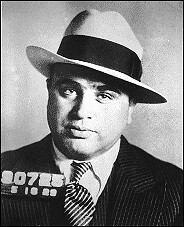 February 14, 1929 - The St. Valentine's Day massacre occurred in Chicago as seven members of the Bugs Moran gang were gunned down by five of Al Capone's mobsters posing as police. 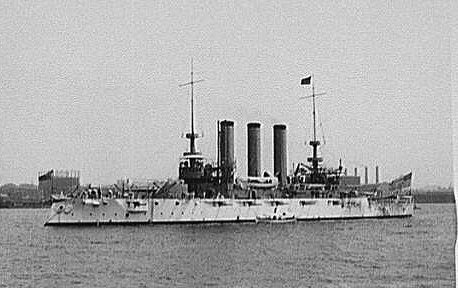 February 15, 1898 - In Havana, the U.S. Battleship Maine was blown up while at anchor and quickly sank with 260 crew members lost. 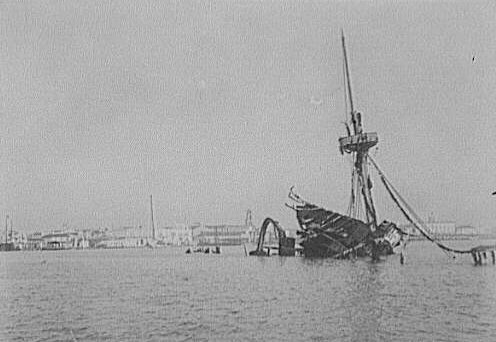 The incident inflamed public opinion in the U.S., resulting in a declaration of war against Spain on April 25, 1898, amid cries of "Remember the Maine!" February 15, 1933 - An assassination attempt on newly elected U.S. President Franklin D. Roosevelt occurred in Miami, Florida. A spectator deflected the gunman's aim. As a result, Chicago Mayor Anton Cermak was shot and killed instead. The gunman, an Italian immigrant, was captured and later sentenced to death. February 15, 1989 - Soviet Russia completed its military withdrawal from Afghanistan after nine years of unsuccessful involvement in the civil war between Muslim rebel groups and the Russian-backed Afghan government. Over 15,000 Russian soldiers had been killed in the fighting. Birthday - Astronomer and physicist Galileo Galilei (1564-1642) was born in Pisa, Italy. He was the first astronomer to use a telescope and advanced the theory that the sun, not the earth, was the center of the solar system. Birthday - Inventor Cyrus McCormick (1809-1884) was born in Rockbridge County, Virginia. 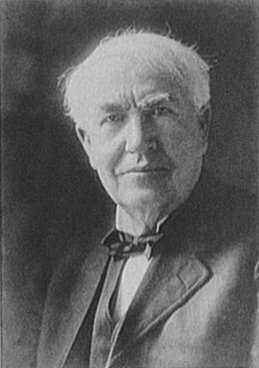 He invented the horse-drawn mechanical reaper, a machine that freed farmers from hard labor and contributed to the development and cultivation of vast areas of the American Great Plains. 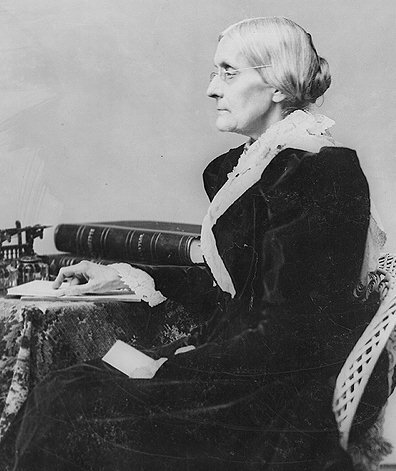 Birthday - Susan B. Anthony (1820-1906) was born in Adams, Massachusetts. A pioneer in women's rights, she worked tirelessly for woman's suffrage (right to vote) and in 1872 was arrested after voting (illegally) in the presidential election. She was commemorated in 1979 with the Susan B. Anthony dollar coin, thus became the first American woman to have her image on a U.S. coin. Birthday - Entertainer and politician Sonny Bono (1935-1998) was born in Detroit, Michigan. Following a career as a popular singer, he became mayor of Palm Springs, California, then became a Republican congressman, serving until his accidental death from a skiing mishap. 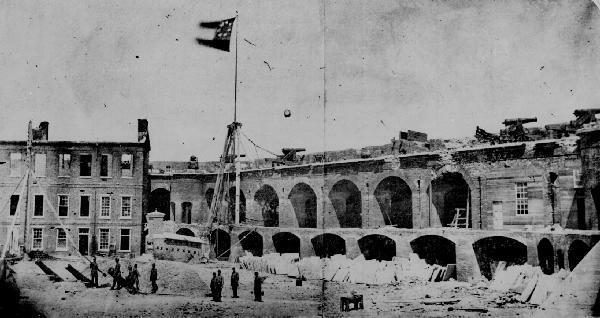 February 17, 1865 - During the American Civil War, Fort Sumter in South Carolina was returned to the Union after nearly a year and a half under Confederate control. The fort had been the scene of the first shots of the war. February 17, 1909 - Apache Chief Geronimo (1829-1909) died while in captivity at Fort Sill, Oklahoma. He had led a small group of warriors on raids throughout Arizona and New Mexico. Caught once, he escaped. The U.S. Army then sent 5,000 men to recapture him. Birthday - American politician Wendell Willkie (1892-1944) was born in Elwood, Illinois. 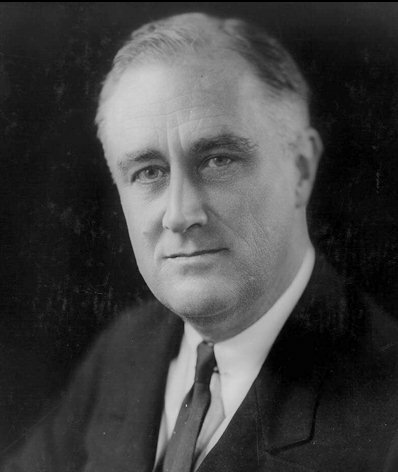 He was the Republican nominee for president in 1940, running against Franklin D. Roosevelt. February 19, 1942 - Internment of Japanese Americans began after President Franklin Roosevelt issued an Executive Order requiring those living on the Pacific coast to report for relocation. Over 110,000 persons therefore shut down their businesses, sold off their property, quit school and moved inland to the relocation centers. Birthday - Astronomer Nicolaus Copernicus (1473-1543) was born in Torun, Poland. Considered the founder of modern astronomy, he theorized that the sun, not the earth, was the center of the solar system. 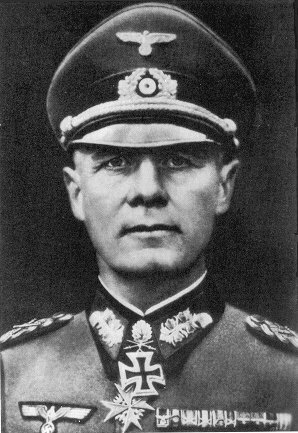 February 20, 1943 - German Field Marshal Erwin Rommel broke through American lines at Kasserine Pass in North Africa as inexperienced U.S. Troops lost their first major battle of World War II in Europe, with 1,000 Americans killed. February 20, 1962 - Astronaut John Glenn became the first American launched into orbit. Traveling aboard the "Friendship 7" spacecraft, Glenn reached an altitude of 162 miles (260 kilometers) and completed three orbits in a flight lasting just under five hours. Glenn was the third American in space, preceded by Alan Shepard and Virgil “Gus” Grissom who had each completed short sub-orbital flights. All of them had been preceded by Russian cosmonaut Yuri Gagarin who was the first human in space, completing one orbit on April 12, 1961 - a feat that intensified the already ongoing Space Race between the Russians and Americans. Glenn’s successful flight showed the Americans had caught up and was followed in September 1962 by President John F. Kennedy’s open call to land an American on the moon before the decade’s end. February 21, 1965 - Former Black Muslim leader Malcolm X (1925-1965) was shot and killed while delivering a speech in a ballroom in New York City. February 21, 1972 - President Richard Nixon arrived in China for historic meetings with Chairman Mao Tse-tung and Premier Chou En-lai. February 21, 1994 - CIA agent Aldrich Ames was arrested on charges he spied for the Soviet Union from 1985 to 1991. February 23, 1942 - During World War II, the first attack on the U.S. mainland occurred as a Japanese submarine shelled an oil refinery near Santa Barbara, California, causing minor damage. February 23, 1991 - In Desert Storm, the Allied ground offensive began after a devastating month-long air campaign targeting Iraqi troops in both Iraq and Kuwait. Birthday - African American educator and leader W.E.B. Du Bois (1868-1963) was born in Great Barrington, Massachusetts. Birthday - Historian William L. Shirer (1904-1993) was born in Chicago, Illinois. As a news reporter stationed in Europe, he witnessed the rise of Adolf Hitler and reported on the surrender of France. Following the war he wrote the first major history of Nazi Germany, The Rise and Fall of the Third Reich. February 24, 1582 - Pope Gregory XIII corrected mistakes on the Julian calendar by dropping 10 days and directing that the day after October 4, 1582 would be October 15th. The Gregorian, or New Style calendar, was then adopted by Catholic countries, followed gradually by Protestant and other nations. February 24, 1867 - The House of Representatives voted to impeach President Andrew Johnson. 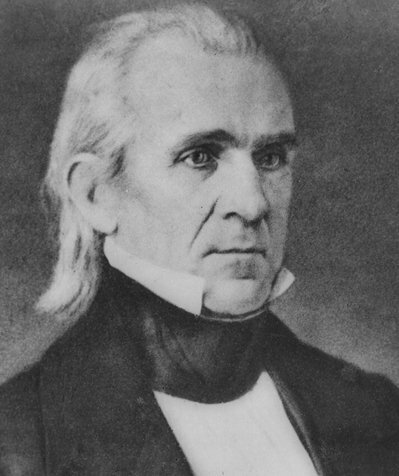 The vote followed bitter opposition by the Radical Republicans in Congress toward Johnson's reconstruction policies in the South. However, the effort to remove him failed in the Senate by just one vote. Birthday - Admiral Chester Nimitz (1885-1966) was born in Fredericksburg, Texas. He commanded Allied naval, land and air forces in the South Pacific during World War II, and signed the Japanese surrender document on September 2, 1945. Birthday - Millicent Fenwick (1910-1992) was born in New York City. She championed liberal causes, serving as a member of the U.N. General Assembly and as a U.S. Congresswoman. February 26, 1848 - The Communist Manifesto pamphlet was published by two young socialists, Karl Marx and Friedrich Engels. It advocated the abolition of all private property and a system in which workers own all means of production, land, factories and machinery. February 26, 1994 - Political foes of Russian President Boris Yeltsin were freed by a general amnesty granted by the new Russian Parliament. 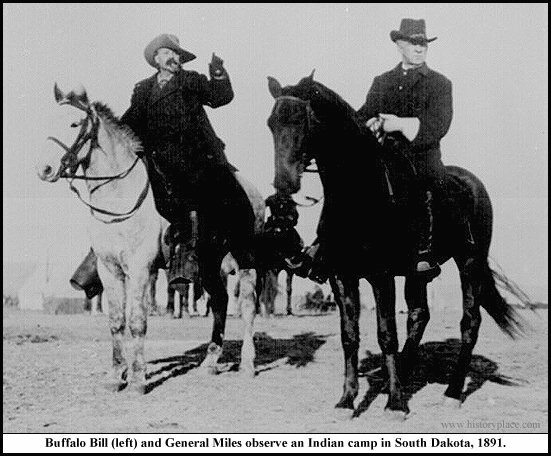 Birthday - American frontiersman "Buffalo Bill" Cody (1846-1917) was born in Scott County, Indiana. He claimed to have killed over 4,000 buffalo within 17 months. He became world famous through his Wild West show which traveled throughout the U.S. and Europe for 30 years. February 27, 1950 - The 22nd Amendment to the U.S. Constitution was ratified, limiting the president to two terms or a maximum of ten years in office. 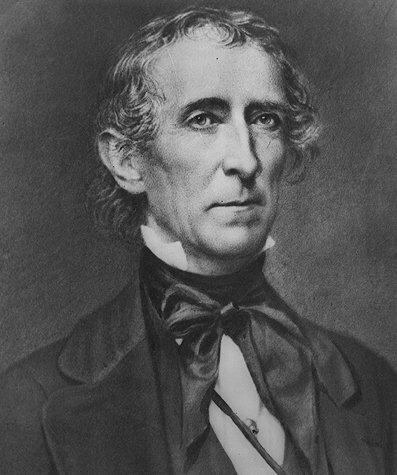 February 28, 1844 - During a demonstration of naval fire power, one of the guns aboard the USS Princeton exploded, killing several top U.S. government officials on the steamer ship, and narrowly missed killing President John Tyler. February 28, 1986 - Swedish Prime Minister Olof Palme (1927-1986) was assassinated in Stockholm while exiting a movie theater with his wife. February 28, 1994 - NATO conducted its first combat action in its 45 year history as four Bosnian Serb jets were shot down by American fighters in a no-fly zone.